Thank you to all of my clients for bringing massive light and love into my life and my loving service each day, and thank you to the Divine in each of us that moves us toward our highest expression. 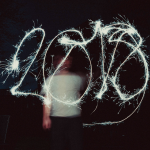 It gives me chills thinking about what this year is going to bring to most of us: fast-paced, soul-rooted growth, moving quickly toward our highest good, supported and guided by the Divine along the way, making choices through our free will toward our electric dreams…in a word, FREEDOM. This year will require action, more movement, quick decision making, and will race by, so find a restorative practice early this year that works for you to ground all of the action into a felt state of embodied presence. If you have worked with me before, maybe it is time to try an Intuitive Business Development session, or maybe you would love your kids to try one of the World-Changer Workshops, or perhaps these little stories can help someone you know get the courage to come in for Intuitive Wellness. Maybe you will re-visit your notes from our session together and remember what resonated deeply, re-committing to shifting some things in your life. Those who come into sessions with an open heart, and who are willing to move themselves forward through their own connection to the Divine (however that looks to them), are the ones who are experiencing incredible change. They’re moving mountains and finding crystal clarity, all while expanding their own hearts and listening to their inner wisdom, strengthening their intuition. You have all of the built-in wisdom, the intuition, the strength, the moxy, the courage, and the heart to go out and create your most true and highest expression! You are light. You are love. May you be inspired in whatever way touches your heart…and I look forward to working together in 2014. My Intuitive Wellness sessions with Jenna have quite literally altered my perspective on my life. I should add, for the better, to that statement. I think I have always been drawn to feelings and the idea of perception. Since my first session that perception has become much more broad. It is as if some pieces of the puzzle fell in to place. I by know means have figured it all out, but I have gained a much greater respect, and comfort, for the path that life is taking me. I first came to Jenna because I had taken over my father’s business and was more focused and working harder than ever before. I was also dealing with more stress and more desire to succeed than ever before. Through the powers that be I learned of Jenna. Even though she did not know me or really know anything of my past she already knew my life. Through this intuition she was able to point out blockages that I myself had put in place. Past issues I was not willing to face. With each session she opened me up to the reality of the human/spiritual journey. Helping me to realize that life does not need to be a struggle. We have a purpose. It is our job to find that purpose and fulfill it. The best part is that we can enjoy the process without fear or dread. Yes it does take work and determination, but it is the most fulfilling work you could ever do. Realizing ones life purpose is one of the greatest gifts you can give to someone. Jenna is able to help people with that process. I am forever grateful to her for opening my eyes to a perception I struggled with. I began dating a girl with the exact physical description that Jenna told me. I went out of town to work on the exact month Jenna told me and in the same profession she told me I would be. Jenna is gifted. She foresaw the future and connected with my being. She predicted I would be doing allot of traveling and I have been. I am in Vermont now. I live in Southern California. Jenna is worth experiencing for yourself. She opened my eyes and I stepped forward. 2013 has been a year of tremendous spiritual growth for me with the help of Jenna and Intuitive Wellness. The biggest lesson Intuitive Wellness has taught me is we all have the power to change feelings of fear, anxiety, and worry into positive actions, we need only to look inward instead of outward to do so. We have all been given gifts to use for our greater good. It is our job to believe and know we are capable of manifesting our greatest dreams. I truly believe I was guided into Intuitive Wellness when I needed it most. I was filled with fear and angst over my health and my job. I had been given some not so good news and felt doomed. After I started using the advice I was given, including diving into books, meditation and writing in my journal, I could feel a complete shift in my mind and body. The diagnosis I was given suddenly became less scary and I have been given new opportunities in my career that have shown me I am not stuck but instead still growing. I have learned to trust in myself and honor my feelings both good and bad and then let go. I am so thankful for all I have learned and the person I have become in the last year and look forward to continue to grow in all facets of my life. I am so thankful for Jenna and all the amazingness she provides to our community! I will never forget my first Intuitive Wellness session with her as it played as huge jumping off point leading me to create a life and career I truly love. I feel so fortunate to have met her as she continues to be such a lovely inspiration! The Mind/Body events she holds at Tune are such special treats 🙂 I can’t wait to take the Intuitive Business Development with her in the near future! Love you Jenna and thank you for everything you do!!! Wow, my life in 2013 has been nothing shy of adventure, excitement, fear, determination and ultimately FAITH! I took the leap of faith following my heart not my head and left a six-figure career to build an authentic business. Through all the twists and turns, Jenna at Harmony Compass has been a gentle, loving, nudging brightly lit guide on my journey! Jenna’s Intuitive Business Development has helped my business take flight, and helped me stay grounded in my heart. I feel blessed that my path happened to cross with Jenna’s…. There truly are no coincidences in life. Thank you Jenna for all you do! I can’t express the gratitude I have felt and the value I’ve received from every meeting I’ve had thus far with you. The first time we talked was on a fluke after I was in to see Ryan for an adjustment and it became clear within 2 minutes that I was very interested in sitting down with you to further dive in. After our first meeting a million ideas and ways of thinking came to light that had been lying just under the surface all along. My aim, my intentions, and my outlooks have drastically changed since that first sit down and your invaluable branding / business development thoughts, nudges and outright call outs continue to propel me forward 🙂 Every time we meet I walk away stronger, clearer, and recharged. Thank you so much for the changes you’ve already brought to our lives and for your ongoing support. You’re an amazing person and friend. So glad that I can call you a friend and mentor. I can’t wait for 2014!! Jenna has given me a true gift, which was to help guide me into the creation of Intuitive Mothers Circle. Intuitive Mothers Circle exists to empower mothers to find, follow and trust their maternal intuitive spirit within. It is a nurturing, safe space to get real about our mommy fears and to connect with other moms while building confidence, courage and community. I have always had a passion for helping moms and with the creation of IMC I have been able to help moms become “supermoms” by teaching them the importance of their maternal intuition. I had my first IMC a couple months ago and I was a little nervous about how it would go. I believe every circle of mothers that comes together at IMC, is meant to gather at that time and place. My first IMC was a beautiful example of this. Each mother in attendance had a story that helped another mother and this was the creation of my first circle. After my first circle was completed, I went home and walked in the door and started to cry while smiling from ear to ear because the IMC was everything I had envisioned it to be. I felt my true calling that night. I am so proud of Intuitive Mothers Circle and I think IMC is going to do amazing things in the new year for mothers. I hope to see you all in the new year. Thank you for reading the 2013 Inspiring Stories! What inspires you most? Do you have an Inspiring Story to share? Please share in the comments below! These are great testimonials to your incredible gift of insight, clarity and compassion. It is rare to find someone your age who has accessed her deep wisdom. You are a gift and a blessing.